Meta tags are part of the HTML tags that describe your page content to search engines and website visitors. The Meta tags appear only in the page’s code and anyone can check them via source code (Ctrl+U). In short, Meta tags are key things for all search engines that appear in the HTML code of a website page and tells the search engine what the page is about, and they are the first impression and point of contact for all search engines. Meta tags added in the <head> section of an HTML web page and they are the “Legally” Hide Words on Your Pages for Search Engines. Every platform has different solutions for adding Meta tags, just like WordPress has free plugins to choose from. I personally recommend the All in One SEO Pack and Yoast SEO plugins. Both are popular and you can choose any according to your need. Do Meta Tags matter for SEO in 2019? Yes, they do, but not all Meta tags can help you in 2019. In my experience, if you want to rank high in Google in 2019 then you also need to focus on high-quality content and user satisfaction. The main goal of this post is to explain which Meta tags are good to go with and which are simply dead and have no use. Meta Tags can affect the way that users see your site in the search results and whether or not they actually click through to your site. If you want to check the Meta tags for any page, just right-click anywhere on the page and select “View Page Source”. You can also use tools like SEMrush (specifically the SEMrush Audit Tool), and Screaming Frog to check the Meta tags on any site. I personally focus on the 8 major Meta tags which can improve the optimization of your startup business or running website. The Title tag is the very first HTML element that specifies your web page for search engines and to visitors. The Title element supports all browsers including Chrome, Firefox, Safari etc. 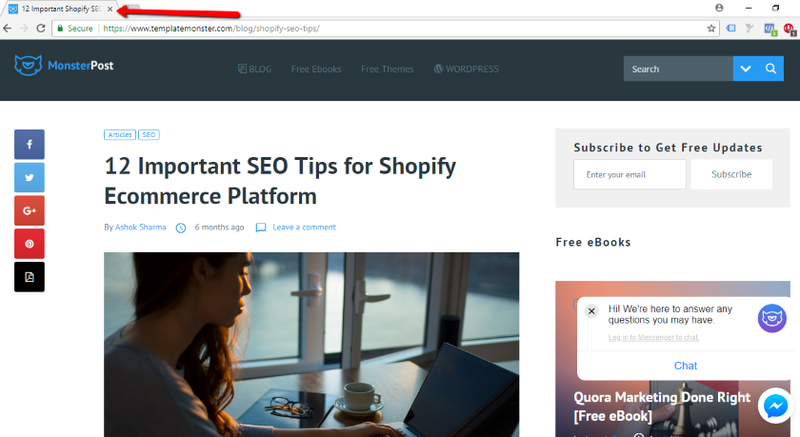 Always add your Title tag in the <head> section of your site. Optimal length for the Title tag: Google typically shows 55-64 characters (keep it under 60). Title tags are important for SEO and visitors. It shows up in the SERP and in Browser Tabs. A Meta Description is an HTML element that summarizes your web page. Search engines typically show the Meta description in search results below your Title tag. Google does not use the Meta description as a ranking signal; still, it has a massive effect on your page CTR because it shows up in search results. In December 2017, Google increased the length of snippets in search results. Now Google confirms it shortened search results snippets after expanding them last December. What will be the optimum length for Meta Description? The new average length of the description snippet field on desktop is at around 160 characters, down from around 300+ characters. Mobile characters for the search results snippets are now down to an average of 130 characters. Don’t put emphasis on the number of characters, as Google might pull Meta description text from your content based on a user’s query. 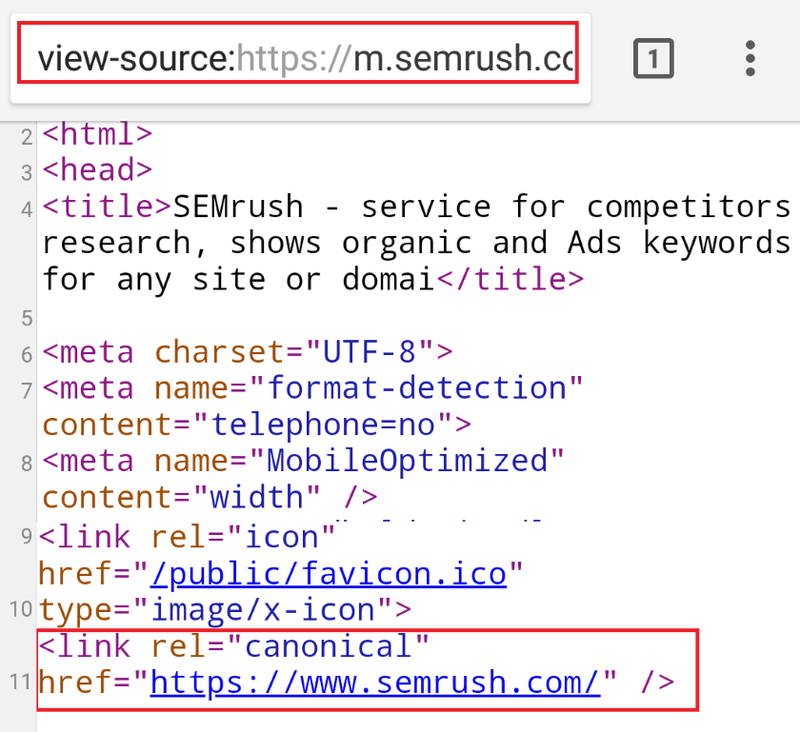 The Canonical tag is an HTML link tag with “rel=canonical” attribute that is used if you have a single page URL that has the same content with other multiple page URLs. By implementing the Canonical tag in the code, we are telling search engines that this URL is the main page and avoid indexing other duplicate page URLs. Where should we choose a canonical URL? Google sees all the above URLs as duplicate versions of the Homepage. And to fix this problem, the canonical tag (rel=canonical) was invented. When using a special URL (m. example.com) for the mobile version of your website. The Alt tag is important for any images, as search engines cannot read them, so you need to add proper Alt text to the images so the search engine can consider them. The Robots Meta tag is an HTML tag that provides instructions to web crawlers on whether to index or noindex a web page. <meta name=”robots” content=”noindex, nofollow”> – Means not to index or not to follow this web page. <meta name=”robots” content=”index, follow”> – Means index and follow this web page. Note: The robots Meta tag should be placed in the <head> section of your web page. Open Graph Meta tags are designed to promote integration between Facebook, LinkedIn, Google and the website URLs that you shared on these platforms. Twitter cards work in a similar way to Open Graph, except you add these special Meta tags only for Twitter. Twitter will use these tags to enhance the display of your page when shared on their platform. Head over to this post if you want to know everything about these tags. A Header tag is used for headings creations, i.e. by using these we can apply font changes. The heading elements are H1, H2, H3, H4, H5, and H6 with H1 being the highest (or most important) level and H6 the least. The final important Meta tag is the Responsive Design Meta tag, which we call “Viewport Meta Element”. By using the viewport meta tag we can control layout for web pages on mobile browsers. This viewport element is included in the head section of your web page. If you want to learn more about this responsive design Meta tags, head over to this nicely written post. Note: Do not use this responsive Meta tag if your website pages are not responsive, as it will make the user experience worse. Site verification– Just ignore this. You can verify your site using Google Search Console and Bing Webmaster tool. Copyright– Every site puts their copyright in the footer, so you don’t need a separate tag. A big NO for this tag. Cache control –This tag allows web publishers to define how often a page is cached. Generally, these are not required; we can simply use the HTTP header instead of this HTML tag. So these are the few HTML tags which we should consider or simply ignore. Now you can easily use the relevant HTML Meta tags intelligently. Don’t forget to comment below and share your views on HTML Tags. Thanks for reading! Amazing post. You explained everything that I was searching about meta tag. (I even didn’t knew there is something like bad meta tag ;)) Really helpful. Thank you for sharing. Cheers!! Hi Kritesh, glad you liked the post. Thanks for reading the post share the post as well on social media. Meta tags are essential for site optimization. Thanks for sharing these tips. I’ve heard quite a few people say meta description is not important anymore and i disagree entirely. Really glad that you have meta description in there – so important for so many reasons. Google does not use the Meta description as a ranking signal but meta description has massive effect on the CTR (click-through-rate) and it can positively impact a page ability to rank. Hello Ashok, and thank you for detailed explanation about stuff that’s been bothering me. One SEO tool keeps warning me that I’m not using Meta keywords tag, and as I recall from before – it doesn’t matter for Google any more. Does any other search engine (like that matters 🙂 ) have any use of those? And if I include them for others, will Google hold it against me? The keywords meta tag has negligible (if any) impact on SEO these days. Your time is better spent elsewhere. If your CMS adds it automatically, cool. If not, I wouldn’t waste too much time adding it. Why are you calling elements and attributes tags? Title tag: “ <- useless. Title element: `This is my page title` <- useful. Alt tag: “ <- no such thing in HTML. Alt attribute: “ <- useful. Perhaps learning the anatomy of HTML will also help SEO. Fingers cross. Thanks for this awesome case study. Seems I’m on the right path.